Taking stock after an enormously successful Gaudy Week requires a starting point, but where to begin reviewing such an exceptional week? 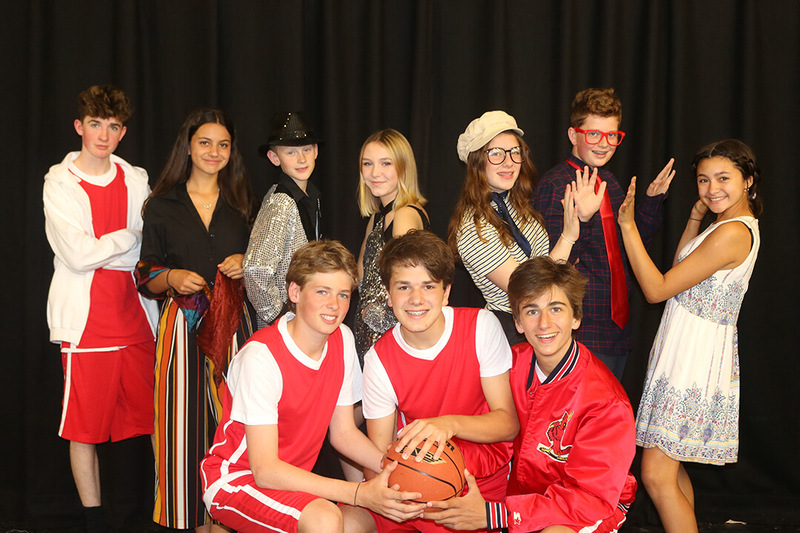 With dramatic works, art and design exhibitions, displays of academic prowess, musical mastery and sporting endeavour on offer throughout the week, St Edward’s brought the curtain down on the school year with conviction and aplomb. 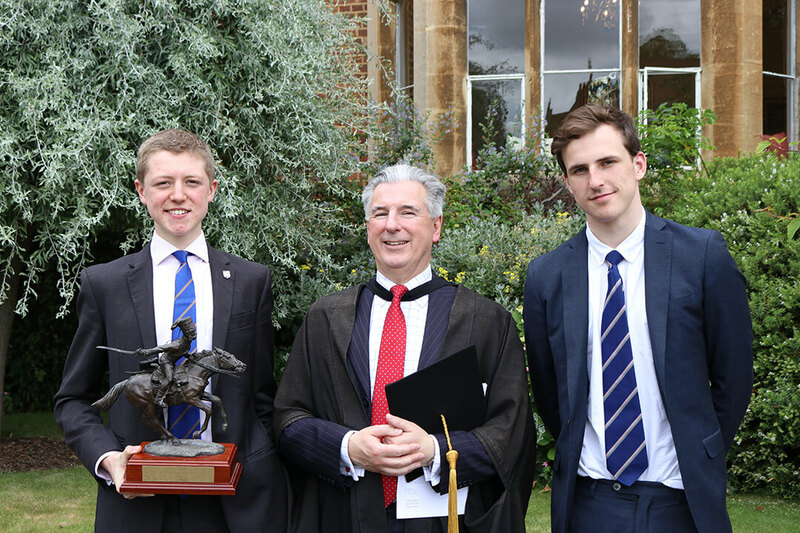 The formal events began at the prestigious Holywell Music Room with the Upper Sixth Leavers’ Platform. Among the many captivating works performed were pieces by Rachmaninoff, Strauss and Puccini, along with more modern numbers from Aerosmith and Oasis. The Leavers’ Platform set a high bar for the week’s musical performances. Bash Croft’s wonderfully re-imagined delivery of Ray Charles’ Hallelujah, I just love her so in Jazz from the House Band on Monday, or a smoke-filled rendition of the triumphal 663 Squadron from the Concert Band were particular highlights. The ever-popular Dance Showcase delivered once again with a mesmerising homage to dance through the ages, incorporating everything from Breakdancing to Riverdance and ballet recitals. The duet performance by Lara Paul and Tanaka Chitsenga will live long in the memories of many for its poise and guile. The Showcase concluded with a crowd-pleasing medley of well-known favourites such as Surfin’ USA and Rock Around the Clock. This year’s plays similarly delivered, with the hugely popular Disney production High School Musical making its Teddies debut in magnificent fashion. 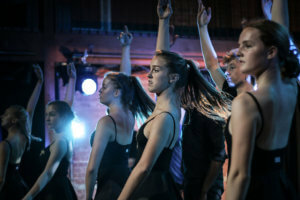 A breathless show incorporating dance, drama and endless musical hits, the Lower School’s production was a masterful portrayal of this foot-tapping extravaganza. The senior school play was an altogether darker affair. Directed and produced by Sixth Former Emily Smart, scenes from Punk Rock is based on the events of the Columbine High School shooting tackling some of the modern world pressures facing teenagers today. Spell-binding and mature performances from the whole cast, including another knock-out turn from Max Brennan – following his portrayal of Hamlet in the Autumn – captivated audiences during an intense and shocking 80 minutes. 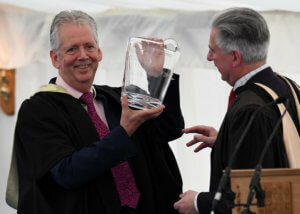 The strength and breadth of academic ambition and ability displayed during this Gaudy was awe-inspiring. The final of the Warden’s Project saw Fourth Form pupils creating projects across a wide-array of areas: establishing a fair-trade cosmetics company, setting up a charitable enterprise helping refugees stranded in the Mediterranean, and building a drone from scratch to pick out just a few. Congratulations to eventual winner Damola Otegbola who designed and built a motorised longboard with a 90-minute battery life and a top speed of 30 mph, once it had been restricted! Other academic highlights included the imaginative presentations of the Shell scientists, who worked in groups to design an underwater biosphere suitable for humans, and the OX2 exhibition of re-worked short stories. Cricket Week was alas a bit of a wash out, with many games abandoned, including the 1st XI’s game against Radley and their two-day match versus Denston College, whilst the match on Friday against the MCC saw a rare defeat, brought about in no small part by a fine display from the departing Master in Charge of Cricket, Richard Howitt, who returned devastatingly efficient bowling figures of 4 for 14. 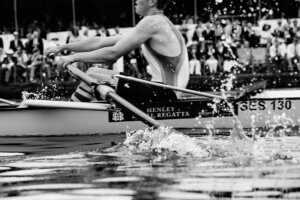 The glamour of Henley Royal Regatta is always an alluring prospect during Gaudy Week, and the 1st VIII put on a fine display to beat Latymer School in their first event. In their second, versus Radley, though a narrow loss by three-quarters of a length, drew remarks from the commentators about their determined performance to fight back in the second half of the race. 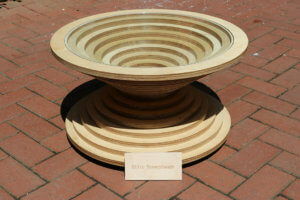 Finally, but in no way least, the art and design exhibitions for the Mixed Years and the Leavers were truly impressive. 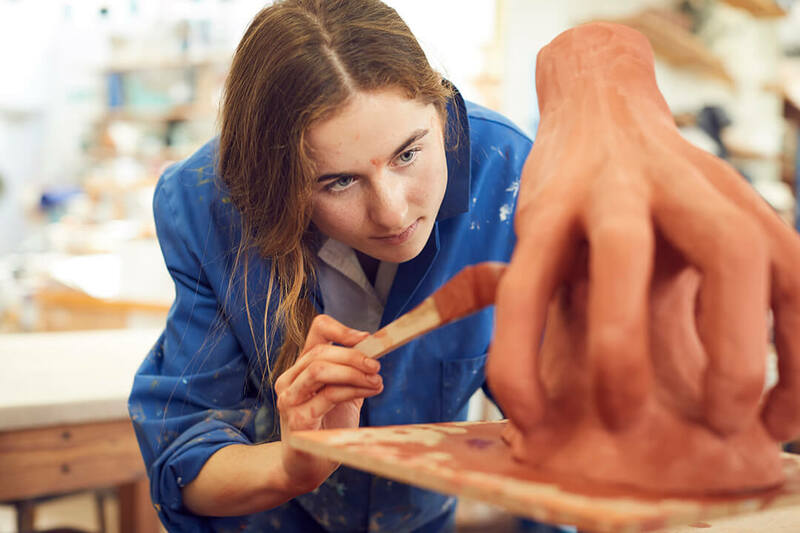 Indeed the A Level exam moderator was heard to remark that the quality of work wouldn’t be at all out of place in a dedicated arts institution. Ed Belcher, who won the Edward Milson Art Prize this year, produced some impressive works for the exhibition, both for their technical ability and the sheer scale of the undertaking – the painting of the cows in the field actually had to be produced in stages in order to fit. The Mixed Years’ Exhibition was equally ‘gripping’, with pieces including Georgia Heath’s (winner of the Lower Sixth Art Prize) series of hands (pictured right), and Ollie Ferneyhough’s (winner of the Lower Sixth Design Prize) table (pictured below left). All of this culminated in Gaudy itself. 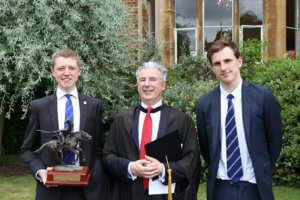 The prize-giving and speeches, including a well-received guest of honour address from the widely respected and warmly regarded retiring Sub-Warden, Tom James, rounded off a truly impressive week. There were too many deserving winners to mention them all, but a full list of prize-winners can be found here. This extraordinary week has once again served to demonstrate that Teddies is every inch the worthy owner of its many accolades. Our congratulations and a great deal of thanks must go to Alex Tester for putting on another splendid and successful Gaudy Week.